Factfulness offers a radical new explanation of why this happens. It reveals the ten instincts that distort our perspective―from our tendency to divide the world into two camps (usually some version of us and them) to the way we consume media (where fear rules) to how we perceive progress (believing that most things are getting worse). 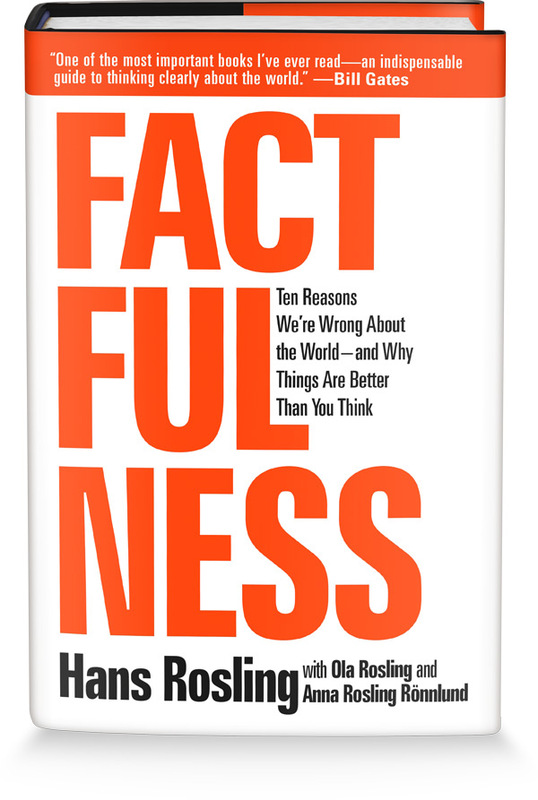 Inspiring and revelatory, filled with lively anecdotes and moving stories, Factfulness is a new thinking habit that will change the way you see the world and empower you to respond to challenges and opportunities of the future. “This book is my last battle in my life-long mission to fight devastating ignorance…Previously I armed myself with huge data sets, eye-opening software, an energetic learning style and a Swedish bayonet for sword-swallowing. It wasn’t enough. But I hope this book will be.” – Hans Rosling, February 2017.
Business Book of the Year Award 2018 – the longlist by Financial Times and McKinsey. First time ever a swedish business book is nominated.